Prom is the special part of your High School Experience. To make the day memorable you need the perfect Dress . While Prom is a day to remember, Prom dresses can range from those being sold at chic Boutiques to Designer Dresses which cost thousands of Dollars. The World’s costliest Prom Dresses are surely to be Elegant and stunning which can make any girl’s Prom day a special one. Whether one believes it or not some of these dresses are encrusted with jewels as well. This Prom Dress had been designed by an AmericanFashion Label for its 2011 Prom Dress Collection. It created a World record for most expensive prom dress. This dress has been sewn by hand and is covered with sequins.Diamonds of $10,000 are encrusted all over the dress. The Dress is strapless and has a plunging neckline . The Dress is so expensive because the Diamonds used on it are real ones. 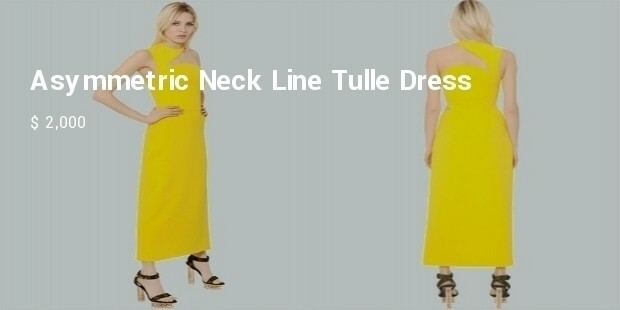 This long dress has been made of very fine fabrics like silk and georgette. The mulberry silk and georgette dress has wide flowing sleevesand a ruffled deep neckline. Narrow at the waist it also has double lining. With a boho chic look it appeals to all girls who are trendy and modern.The beading on the ruffled neckline adds to the elegance of the dress and gives it a feminine allure. This Dress is made of sequined Tulle.The dress is strapless and has an Empire waist and is available in exoticshadessuch as turquoise . It has a long floor length skirt with a long train , the dress has a mermaid skirt and a classy and elegant look . Coveredinrhinestones it has a classy look. 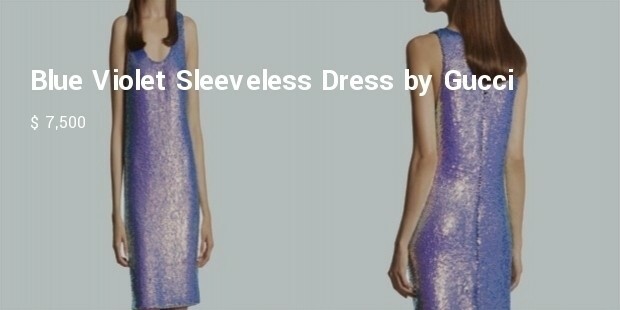 The shimmering appeal of this dress itself will dazzle people around you. In the creation of this Dress fabrics such as mesh and feather have been used. The Dress has a long and elegant skirt which is mermaid shaped. It is strapless and comes in colors like Red. It has a dramatic yet romantic look which will make you look really pretty and beautiful for your prom. The mermaid dress makes you feel feminine and elegant. With its charm all looks it can make you feelon the top of the world with its looks. Prom Dress Collections like above cater to the modern, sophisticated and undoubtedly wealthy teenagers. The stunning colors and designs of the Dresses are very impressive with the variety of fabrics and embellishments used on them making them one hell of an expensive Dress to be worn at a once to be held prom. But really it is worth it as everybody has the memories to cherish for the whole life ahead.